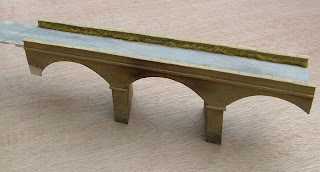 I'm impressed with your bridge, looks excellent, can't wait to see it in place on the layout. 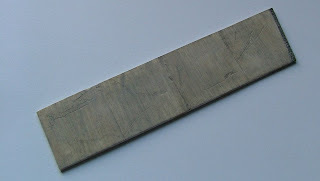 A question about your concrete surface, you say you painted it a base colour, what was that? I am currently laying DAS modelling clay on Marks Quay and that dries a slightly off white which needs toning down, and grey primer does not seem correct! Thanks for the kind comment. To represent concrete, I use light greys with a touch of cream/stone eg Humbrol 71, 103, 121 and some white. It's not exact by any means and variances in colour exist in the real thing. Good luck with your DAS! 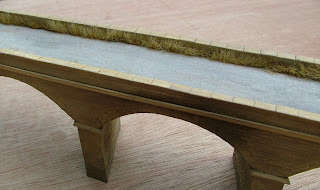 Great bridge - Can I ask about the Gaugemaster grass mat? Have been on their website and there seems many many types. Any in particular that you can recommend? Also, will you use a grass mat for large areas of grass or solely for situations like your bridge i.e. 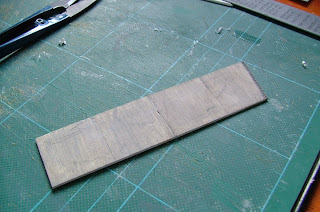 thin strips?